Tim Trumper, Murungi Igweta, and Malcolm Maclean agree to talk to us about the books that have impacted their lives and faith. Tim Trumper recently ended his ministry as pastor of Seventh Reformed Church in Grand Rapids, Michigan to found From His Fullness Ministries. Murungi Igweta is the pastor of Trinity Baptist Church, Nairobi. Malcolm Maclean is pastor of the Greyfriars Free Church of Scotland in Inverness. T.T: John G. Paton: Missionary to the New Hebrides. After my father died, I committed to read Paton’s autobiography, since Dad had so extolled him for his sufferings for Christ. Paton wrote not to become a cause célèbre, but ‘to show that the Finger of God is as visible still, to those who have eyes to see, as when the fire-cloud Pillar led His People through the wilderness.’ His intent is traceable through the action. M.I: I am reading a small book, The Covenant of Works: Its Confessional and Scriptural Basis by Dr. Richard Barcellos and James Renihan. I hope to read the previous two books in the series, Recovering our Confessional Heritage, published by Reformed Baptist Academic Press. 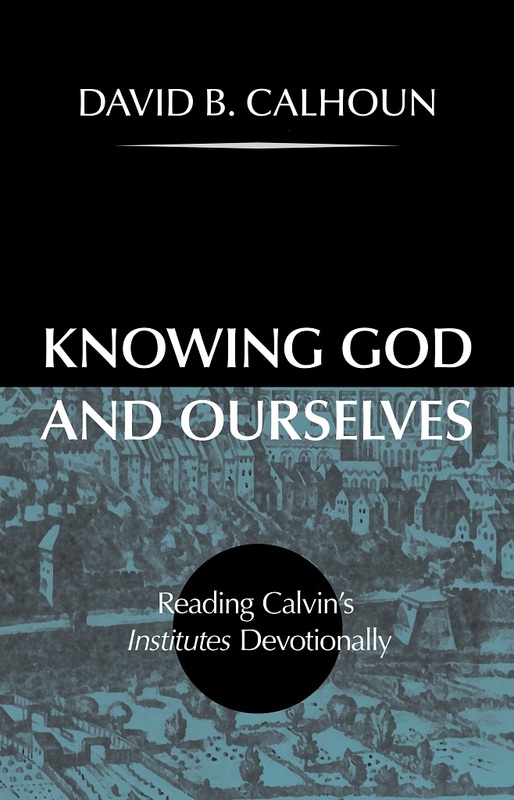 I am also reading Worshiping with Calvin by Terry L. Johnson. I have been blessed by the depth of the book and I hope to be a more vocal proponent of the Regulative Principle of Worship than I have been, in light of the present battle where contemporary worship seems to be winning the day. M.M: The Doctrines of Grace in an Unexpected Place by Mark R. Stevenson. He details how many of the early Plymouth Brethren agreed with the five points of Calvinism. I was converted in the Brethren and retain some interest in their history. T.T: We were so blessed in our formative years by the Banner of Truth’s student offers. We built our libraries, skimped on our exam revision, and walked many a domestic and foreign beach reading the likes of Watson, Bonar, M’Cheyne, and Pink. But when in the early 1990s, principle Boyd at the Free Church College (now Edinburgh Theological Seminary) allotted to me the task of summarizing Herman Ridderbos’ chapter on adoption in Paul: An Outline of his Theology (transl. by John R. de Witt [SPCK, 1977]), I became so fascinated by the doctrine as to set out to contribute to its recovery, which calling I continue to pursue. M.I: J. I. Packer’s Knowing God and A. W. Pink’s Sovereignty of God blew my mind away as unsuccessfully sought to wrap my finite mind around an infinitely sovereign God. M.M: Desiring God by John Piper. I had read many books before then as a Christian but this book changed my thinking on how God’s people should react to God and his grace. T.T: If I may distinguish a book from the attending affliction and persecution which shaped its tone and content ( after all, we don’t seek persecution! ), then I wish I could have written the Letters of Samuel Rutherford. To ooze Christ under such pressure, without affectation and with such descriptive flair can only be God’s remarkable gift of grace and consolation of his love! M.I: Disciplines of a Godly Man, by Kent Hughes. It is a very practical book. M.M: Christ Crucified by Donald Macleod. His understanding of the work of Christ is amazing. T.T: I have long cherished Preaching: The Preacher and Preaching in the Twentieth Century (ed. Samuel T. Logan Jr, [Evangelical Press, 1986]). It has breadth, depth, readability, and with multiple contributors lacks some of the personal, now dated (albeit amusing) idiosyncrasies of the single-author volumes of Spurgeon, Lloyd-Jones, et al. Such preachers, being one-of-a-kind, don’t tend to write the best books on preaching. M.I: Stuart Olyott’s Preaching, Pure and Simple, along with hundreds of his sermons that I have listened to over and over again have been of tremendous help. Sadly, I have not come half as simple and clear as the man is and I hoped I would! Other books like M. L-J’s Preaching and Preachers and Jay Adams’ Purpose in Preaching have been very useful. M.M: Spirit-Empowered Preaching by Art Azurdia. It helped me to understand the difference between biblical preaching and mere enthusiasm. T.T: Um, ‘the book’? Actually, I am torn between the Hendrickson series of Ante-Nicene and Nicene and Post-Nicene Fathers (the shoulders upon which the Reformers stood), and the Welsh Calvinistic Methodist Confession of Faith (1823). Nineteenth-century historian Philip Schaff described it as ‘far inferior to [the Westminster Confession of Faith] in ability and accuracy.’ Yet, it has greater emphasis on the Holy Spirit (Arts. 20 and 21), it distinguishes effectual calling and regeneration (cf. WCF 10 with CMC 22 and 26), and inserts articles on union with Christ and peace of conscience (Arts 23 and 32). With further investigation, I wonder to what degree Schaff’s opinion would hold up. M.I: N. R. Needham’s four volumes of 2000 Years of Christ’s Power. I have only read the first three volumes and hope to read the fourth one this year. The books are very readable and well written. M.M: The Doctrine of the Holy Spirit by George Smeaton. He says what we need to know about the Holy Spirit, whether from the biblical details or from systematic theology or from church history. T.T: In church life, some emphasize strategizing at the expense of revival (human responsibility over divine sovereignty), others revival at the expense of strategizing (divine sovereignty over human responsibility). C. John (‘Jack’) Miller’s Outgrowing the Ingrown Church offers, it seems to me, a compelling counterbalance, rooting the ‘how-tos’ of church reform and community impact in a fresh, congregation-wide believing and penitent appropriation of the gifts of Christ and the Spirit. Ministers as ‘chief-repenters’ set the tone. M.I: Desiring God by John Piper. When I read it, I was amazed by the glory of God that I wondered why sometimes I fail to desire and love him with all my heart, soul, might, and mind. May the Spirit of the living God give the strength. M.M: The Letters of Samuel Rutherford, although it is usually an amen of what I would like to have, rather than what I have. T.T: In lament, A. N. Wilson’s God’s Funeral or Ludovic Kennedy’s Farewell to God, but I believe it was the Qur’an. Is there another volume so spiritually dark and physically threatening, yet so influential? The elements of truth it offers with the one hand (e.g., monotheism, respect for Jesus, sin, faith, righteousness, heaven, and hell), it takes away with the other (Trinitarianism, a true understanding of predestination, the divinity of Christ and his work, a right understanding of faith and righteous deeds, etc.). Not all should read the Qur’an — its forewarning is ironic, ‘When thou dost read the Qur’an seek God’s protection from Satan the Rejected One’ (Surah An Nahl 16:98) — but we each can beseech the Lord to continue his phenomenal work of saving Muslims from the darkness and our lands from jihad. M.I: Any stories of pioneer missionaries make me weep. When I read the stories of William Carey, John Paton, and Adoniram Judson I wept. But more recently, when I read the story of Paul Kasonga, the first Baptist pastor in Zambia, I felt that I have failed the Lord big time and I was overcome with remorsefulness. M.M: Something Must Be Known and Felt by Stuart Olyott. The author describes a kind of Christianity that once was common in my Christian background, which has become rare in the contemporary church, and which I miss every day. T.T: In detail, Augustine’s City of God. The evidence of the present suggests it is a timely book to read. I have observed in reading that God is sovereign over the ‘when’ as well as the ‘what’. M.I: To my shame, I have not read The Doctrine of Justification by James Buchanan! I bought it at the last Banner Conference in the UK and I hope to read it before long! I also long to read Reformed Dogmatics by Bavinck. 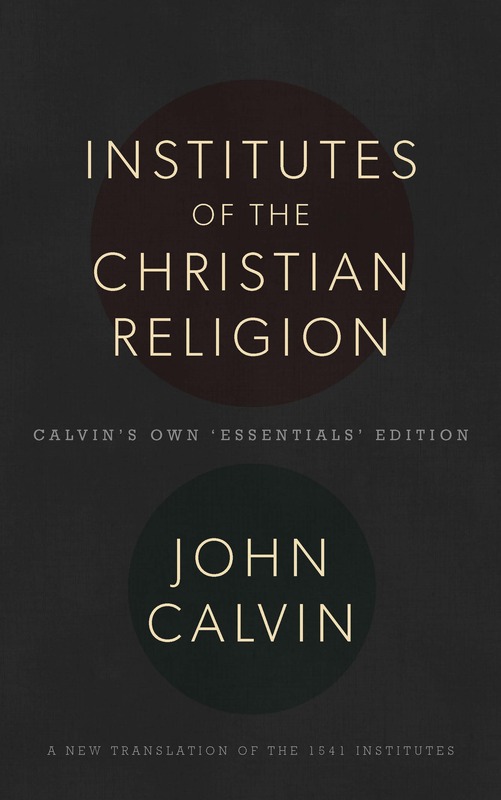 M.M: Calvin’s Institutes, I have read many chapters in it, but nowhere near all of them. A copy has been within my reach for forty years and I still have not read it all. Maybe one day. T.T: At Seventh Reformed Baptist Church, Grand Rapids, we typically give out the ESV Reformation Study Bible to those entering membership by profession of faith. Its wealth of resources (topical articles, creeds, confessions, and catechisms) and reliable study notes made this an ideal gift. For the entrance of established Christians, there is much to be said for Thom S. Rainer’s short and to-the-point I am a Church Member: Discovering the Attitude that Makes a Difference. M.I: Sovereignty of God by A. W. Pink or How Can I be Sure? by Frank Allred. M.M: If I were to give one, it would be The Hidden Life of Prayer by David McIntyre. Most people struggle regarding prayer and I suspect new believers need something that is short and straightforward on this essential Christian activity. T.T: Although I have found friends, when reading John Blanchard’s Ultimate Questions. to stumble over the ‘how’ of creation (Paul, in his outreach, focused more on the ‘that’, Acts 17:25-28), there is yet much to be said for this booklet which God has used phenomenally. Those serious about becoming Christians get beyond the section on creation. M.I: Blanchard’s book, Ultimate Questions or Right With God have come in handy. M.M: the Cross of Jesus by Leon Morris, because it explains how the cross can address many contemporary issues. I have no idea if it’s still in print. T.T: I was due to say, a volume on Welsh Theology, comparable in scope to the respective volumes of Scottish Theology by John Macleod and Thomas Torrance, but then came across William Evans’ An Outline of the History of Welsh Theology (1900). Very much needed is a comprehensive, in-depth, Reformed study of biblical language (the diversity of Scripture’s figures of speech, their varied functions in conveying God’s truth, and how they contribute to the unity of the Bible’s system of theology). M.I: I wish either I would or someone (who has the ability of Iain Murray) will write something about my co-elder, Keith Underhill. I would wish to read something of his endless labors in Kenya, undying love for a country he knows like the back of his hand. I wish someone who knows him well in his spiritual disciplines and love for the glory of God in all peoples could commit it in writing. And yes, the book will be incomplete without his wife, Priscilla, who is both an excellent wife and an excellent Sunday School teacher. M.M: A book on Scottish Reformed Theology and its effects. Or a book that would expound what the Bible says about the ongoing activities of Jesus as our prophet, priest and king. I have read several helpful books on the topic, but none that fully satisfy me. T.T: Willi Twisselmann’s Die Gotteskindschaft der Christen nach dem Neuen Testament (1939), but it requires translating into English as The Divine Sonship of Christians According to the New Testament. Little is known of Twisselmann, but his method treats sensitively the filial theme of Scripture, distinguishing treatments in non-Christian religions from the Old Testament; the Synoptic Gospels; Paul; Hebrews, James and 1 Peter; and John, respectively, concluding with a comparison, connection, and assessment. Since Twisselmann’s family cannot be located to give permissions for a translation, I would settle, for like reasons, for the reprinting of Witold Marchel’s Abba, Vater! Die Vaterbotschaft des Neuen Testaments (1963). It would also need translation. In English, the title reads, The New Testament’s Message of the Father. I don’t vouch for every detail of these studies, but do welcome their methods, themes, and accessibility. M.I: Grace Hymns! Please, let us tell Grace publications either to reprint it or give the rights to someone who can. Or even better, produce a mobile app or let me do it! T.T: Not having children, nor teaching junior Sunday School, and having lived across the Atlantic from nephews and nieces, this is not a genre I know well. The dialogue from the film Shadowlands comes to mind: ‘What can Jack [C. S. Lewis] know about children?’ To which Lewis replies, ‘Warnie was a child and, strange as it may seem, so was I!’ So, my mind goes back to Marian Schoolland’s Leading Little One’s to God and John Bunyan’s Pilgrim’s Progress. Our Dad, as an ex-actor, brought the reading of Pilgrim’s Progress to life, but children’s editions seem now to abound. It’s just as well that Bunyan’s riches lay in heaven, for who could calculate the royalties he’s owed?! M.I: It depends on the subject but Joel Beeke’s Religious Stories are very good for telling good Christian stories. Spurgeon’s stories for children is also well written as a biography for children. M.M: Depending on their age, for younger children, Carine Mackenzie’s books for Christian Focus. For older children, those by Carine Mackenzie for Christian Focus. But then, I am biased.